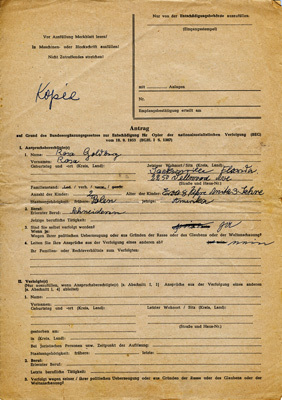 Application for reparations for victims of Nazi persecution. Both Rosa and Kisel completed this form. 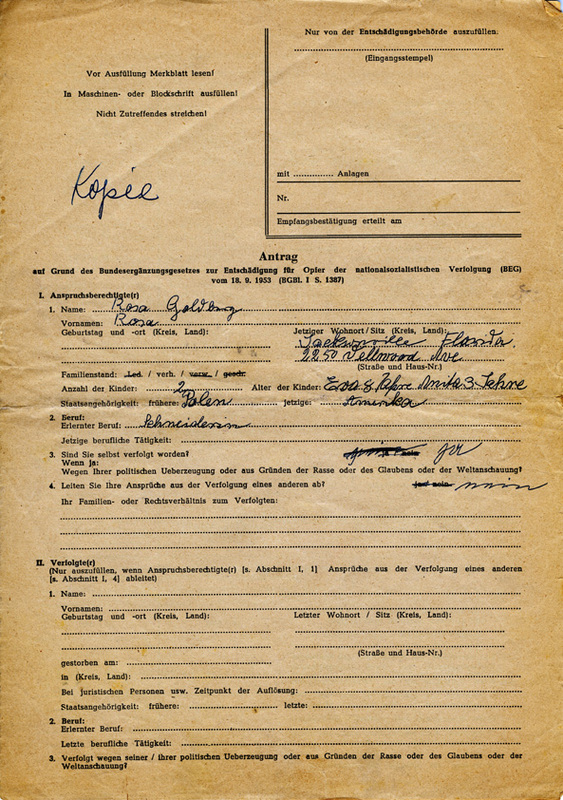 A translation of this form is available here.